This entry was posted in Events, Oct and tagged Square Chapel Arts Centre. Stevie is 17. She’s peak cool, or so she thinks. On Friday 7 September, 8:15pm at Square Chapel Arts Centre you can find a little more about Stevie. In the middle of the wide-eyed stagger from girlhood to womanhood, Stevie is sent to live in the middle of nowhere with her Grandma. Suffolk – the home of doggers, folklore, sea cabbages and Stan. Stan is peak geek, not that he knows. But there are secrets in the marshland, songs that will show Stevie the way. 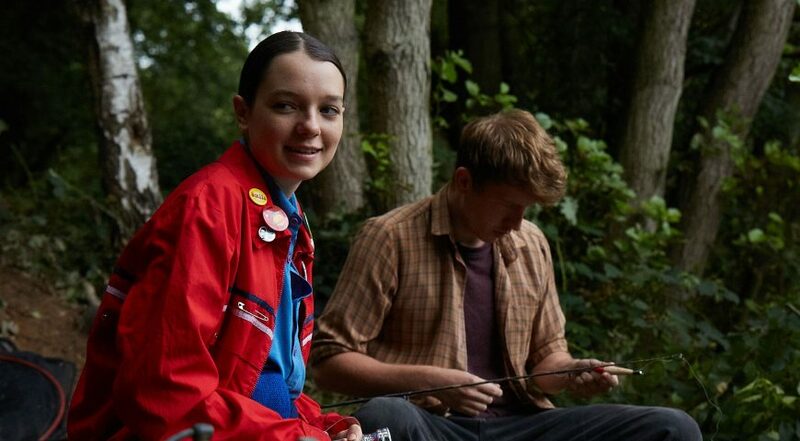 Interwoven with beautiful live folk music from award-winning band TRILLS, Songlines is a coming of age love story in all its awkward teen glory. 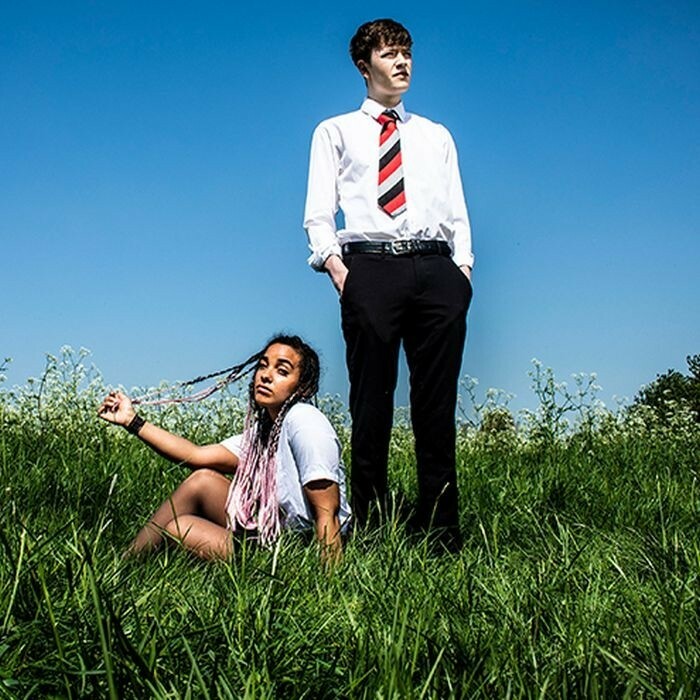 A brand new play from Suffolk writer Tallulah Brown, directed by George Chilcott. Get tickets now from the Square Chapel website. This entry was posted in Events, Sep and tagged Square Chapel Arts Centre. 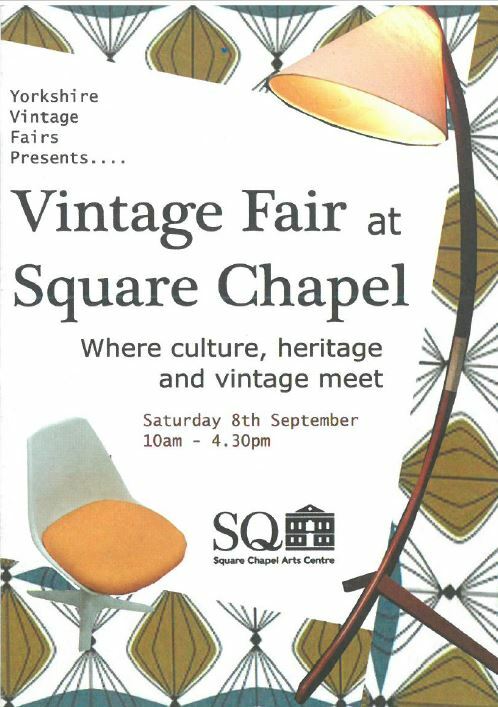 Visit the Vintage Fair at Square Chapel Arts Centre for a full day of vintage fun on Saturday 8 September, 10:00am-4:30pm. The gorgeous Dani G – Live vintage vocalist will be singing throughout the day. Join ‘Swing Revolution UK’ Competition winners, Tom Powell and Fiona Campbell, for a full morning of swing dancing. Meet in the Square Chapel Copper Auditorium at 10:00am for two and half hours of lessons and dancing. There will be two 45 minute lessons (with a short break in between) focusing on Lindy Hop, followed by a final 30 minute lesson looking at the Charleston. Both experienced dancers, Tom and Fiona will focus on teaching you all the basics so you are ready to go it alone. You can be on your own or as a pair – both are catered for and you won’t be short of a partner. Dress vintage or not – the choice is yours – just ensure your shoes are made for dancing! The fee for the swing dance workshop also includes entry to the vintage fair. Places are limited so book early! £10.50/ person and £17/couple. Tickets for this and the fair are available at the Yorkshire Vintage Fairs website. There will be a free social dance in the afternoon, in the outdoor, covered area of The Woolshops, right next to the venue! Some of the best vintage fashion, furniture, homewares and vinyl dealers that Yorkshire has to offer. There will be a film screening of the iconic 1950s movie starring Marilyn Monroe, Tony Curtis and Jack Lemmon- “Some Like It Hot” in the afternoon- this is pre-book only and you can buy tickets for this from the Square Chapel website. This entry was posted in Events, Sep and tagged Square Chapel Arts Centre, Yorkshire Vintage Fairs. 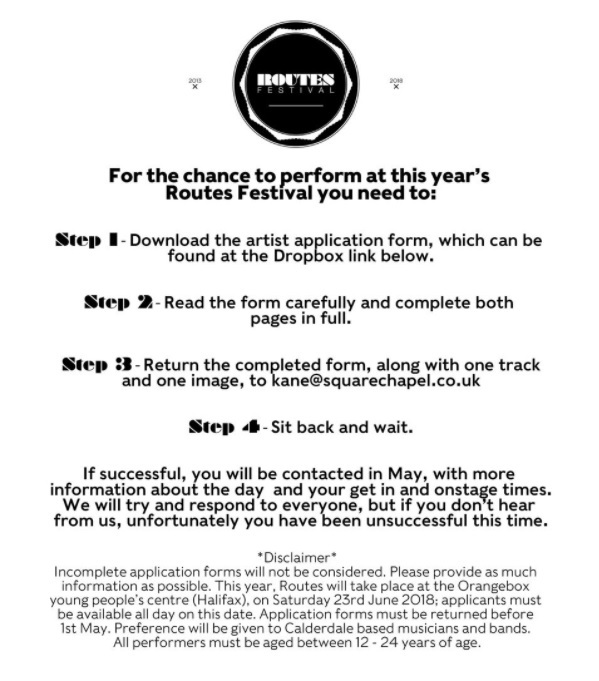 There is less than 2 weeks to get your applications in to perform at Routes Festival 2018 on Saturday 23 June! To apply follow this link to the forms and information on Dropbox. This entry was posted in Events, June, Young People and tagged Orangebox Young People's Centre, Routes Festival, Square Chapel Arts Centre. On Tuesday 10 April, 1:00pm at the Red Brick Auditorium of the Square Chapel Arts Centre, Fenella Billington will be speaking on Romance, Realism and Revolution 1700-1800. France under Louis XV in the 18th century saw the age of Rococo. 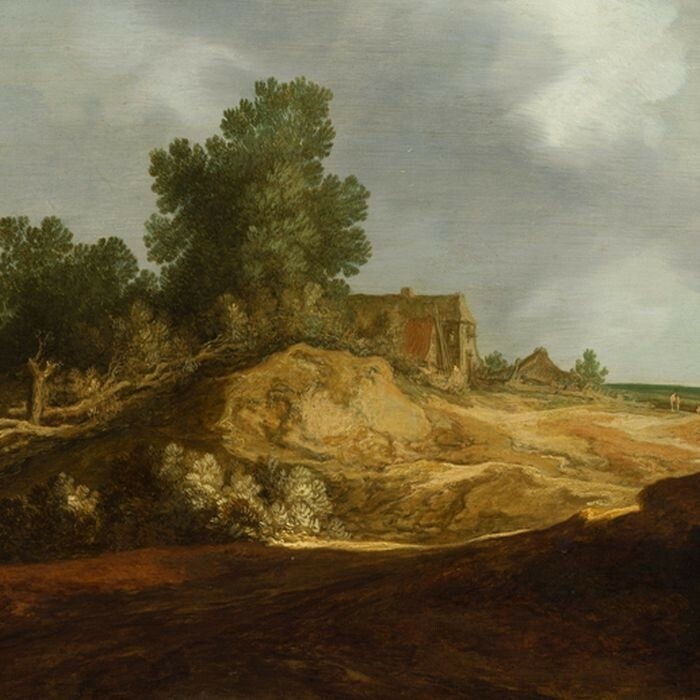 The works of Watteau, Boucher and Fragonard are compared to the more sombre paintings of Chardin and Oudry. 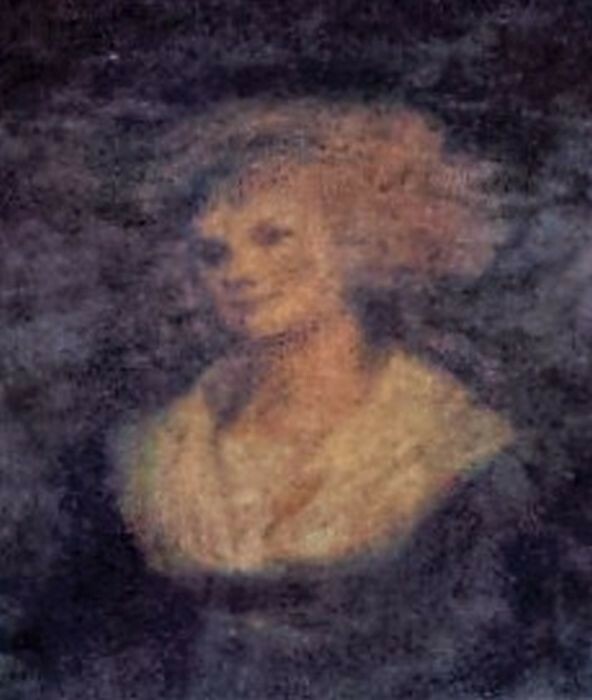 In England, the contrasting art of Gainsborough, Stubbs and Hogarth is considered briefly. The French Revolution, followed by the rise of Napoleon once more changed styles in fashionable art. This lecture considers the many rich threads of art being woven in France and in England in the 18th century, a time that witnessed a radical change from one social system to another. 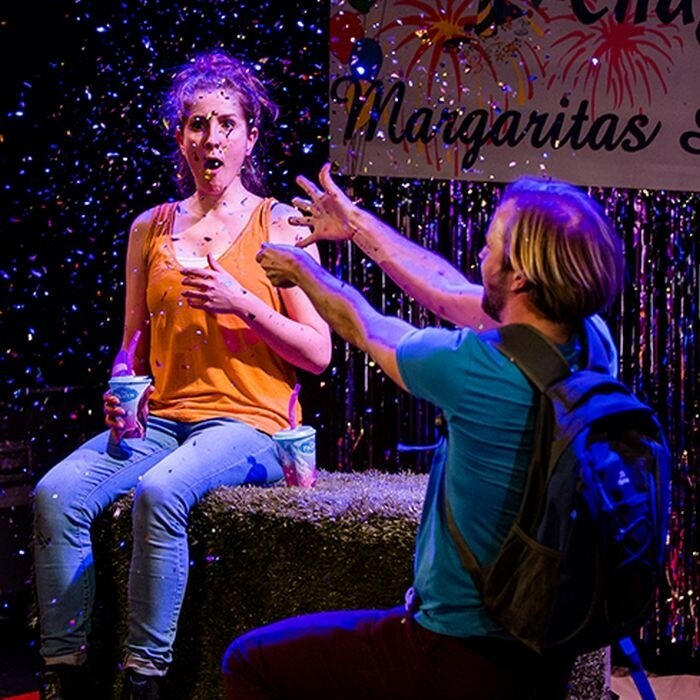 This entry was posted in Apr, Events and tagged Square Chapel Arts Centre.